Despite what you may have seen in videos on the internet, your microphone does not come instantly turned on, so you must take the necessary time to ready it for maximum performance. 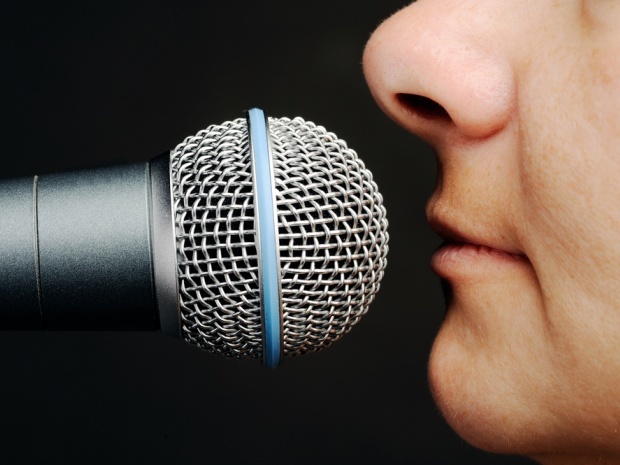 No one likes to be expected to perform before they are sufficiently turned on, and your microphone is no exception. 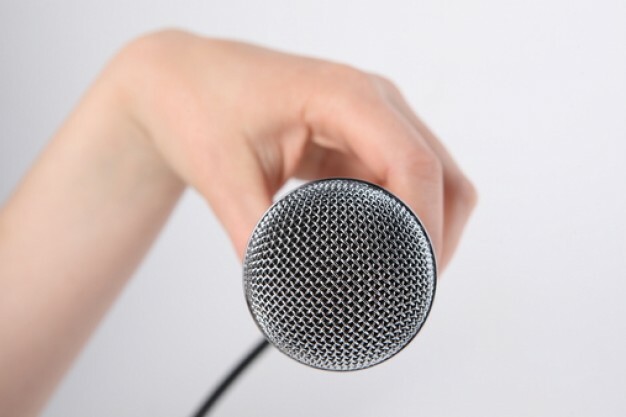 Spend some quality time getting to know your microphone. Be confident, yet ladylike. Share a diet soda or maybe an alcoholic beverage if you are of legal age. When the time is right, and you will know when the time is right, gently reach for the switch and turn it on. 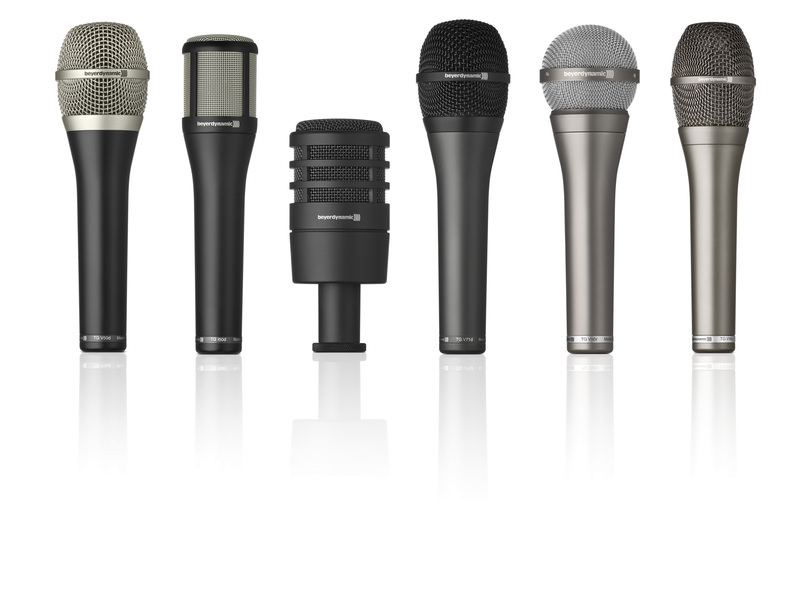 Microphones come in all sizes, shapes, and even colors. Don’t be afraid if your microphone looks different than other microphones, they all work basically the same. 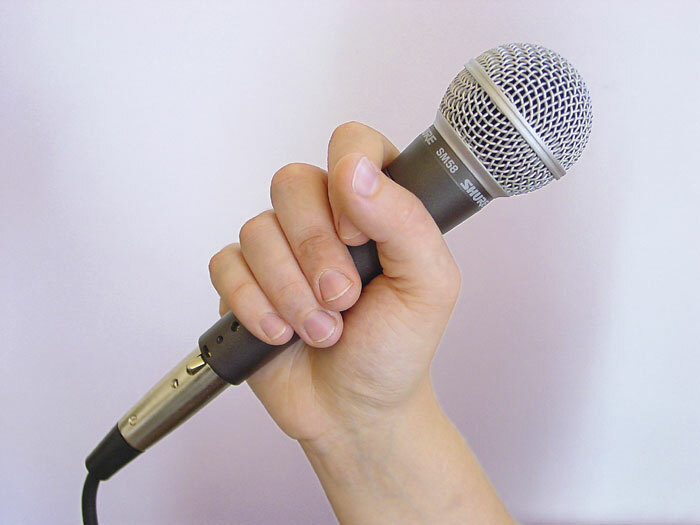 The first step you can take to making yourself comfortable around your microphone is knowing how all the parts work. 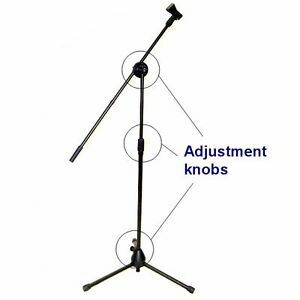 Slide the stand either up or down so that the head of the microphone is at a comfortable distance from your mouth. Then grip the microphone and tilt it to a desirable position that will not require you straining your neck while using it. Next you’ll need to position yourself, specifically your mouth. The vocal apparatus needs breath and space, so stand with good posture, aligning your head with your spine. You don’t want to “eat” the microphone or spit on it by being too close, but you don’t want to be too far away either. You should be about 8-10 inches away, or about two hand widths. 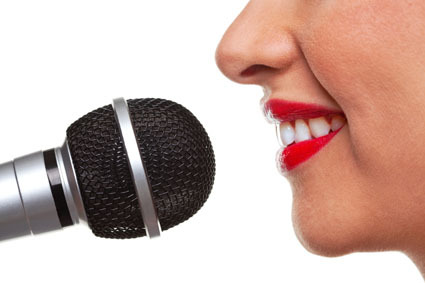 Keep the ball of the microphone pointed toward your nose so that the air travels over the mic and not directly into it. Another alternative is to touch the ball to your chin and keep it there. You are now ready to begin using the microphone. Warm up to avoid throaty tension. You should never strain your voice just to be heard. If you’re hunched, bent, or tense, your performance will bounce around your throat rather than flow out toward your audience. As you perform, remember that variety is the spice of life, and you should experiment and adjust your rhythm as necessary. For example, when speaking loudly, tilt your head back. When speaking softly, come closer. Then when speaking loudly, tilt your head back again. Then come closer for softer words. This will ensure a dynamic experience for your audience. 5. 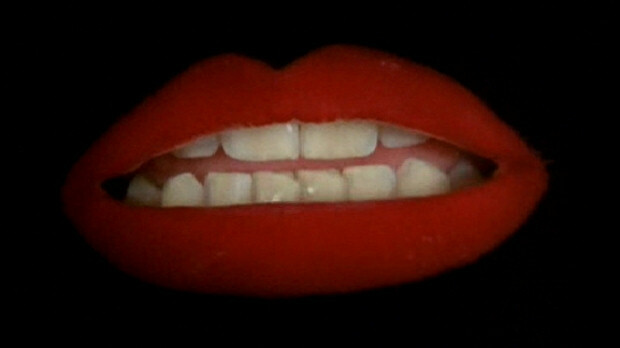 Do not, under any circumstance, scrape your teeth against the microphone. Do not, unless you are a rapper, squeeze the head, or ball, of the microphone, and do not “eat” the mic, no matter how much the mic may plead and tell you that it doesn’t hurt, it does in fact hurt the delicate eardrums of your audience. Remember, all microphones are fragile. You should never hit or blow directly into a microphone, because you can easily damage it. If your mic begins slipping during your performance, do not take it personally. It might have had a long day, or it may be getting a cramp, or it might be thinking about the state of world economics. Without belittling the microphone or hurting its pride, gently revisit step 3 until it is once again at desirable distance from your mouth and finish your performance. You don’t have to be skanky hoe to have a great performance. Just remember to SMILE and have fun. If you are having fun, and your microphone isn’t giving you any negative feedback, then you are probably doing a great job. 5 for $55 merchandise sale through Dec 31! Oh dear God! This is hysterical. I refused to use the mic precisely because of images like this. Fortunately, the room was small and I know how to project.